Part of an editor’s job is to ensure that the grammar in a text is sound, but it is still a good idea for writers to be as confident as they can be in their own writing, so that they can make their message clear. 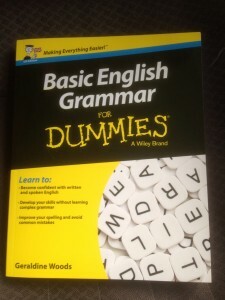 Basic English Grammar for Dummies by Geraldine Woods provides a way for writers to check up on the basic rules. Working your way through the book, trying out the exercises and checking your answers, will boost your confidence and clarify those pesky rules around apostrophes, capital letters and prepositional phrases, as well as providing guidance on appropriate style issues in different situations. One test of a grammar book is how it deals with the pesky serial comma; in this book, it is explained as optional in UK English, used only when it helps to clarify the text, and always used by most writers in US English. Sections include Getting Started with Basic English Grammar, Creating Correct Sentences, Punctuation and Capitalisation, Grammar in Action (writing in electronic media, writing at school or work etc), Common Errors and the Part of Tens (quick lists of ways to improve, mistakes to avoid etc). There are all the usual features of a Dummies book – tips, warnings, things to remember – and the tone is light and conversational, without getting silly or talking down to the reader. This book is written primarily for UK English, so if you use a different format then just be aware that this might account for any differences. 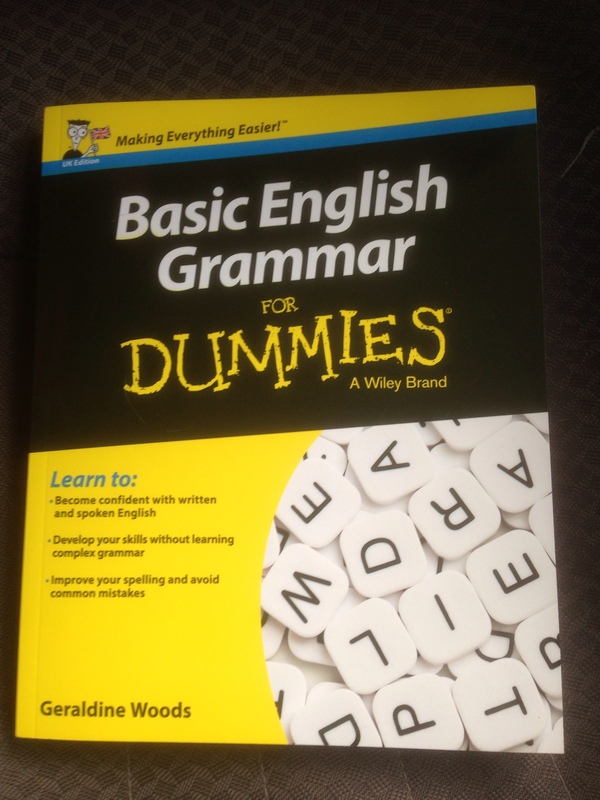 However, the differences are few enough that this book would be useful for anyone writing in any variant of English. This entry was posted in Writing book reviews and tagged grammar, resources on December 29, 2015 by Lin White.